Sweat pours down his face. He made it out just in time, but he’s not so sure about his friends. They split up a little ways back; not out of convenience, but necessity. He wants to keep moving, keep running away from whatever Lovecraftian terror is so close behind. But for a few blissful, illogical seconds, he stops dead in his tracks. Playing a video game is all about manipulation. You manipulate your character on-screen, and the tools or weapons that character uses. You decide when that character walks, or runs, or fights, or doesn’t. You can keep them healthy and treat them well, or have them suffer interminable pain because you weren’t good or smart enough to avoid it. It’s an incredible burden that’s placed on the player, one that if executed perfectly would keep tension mounting and fear building. To be responsible for the death of a character you’ve come to care about would be, well, horrifying. 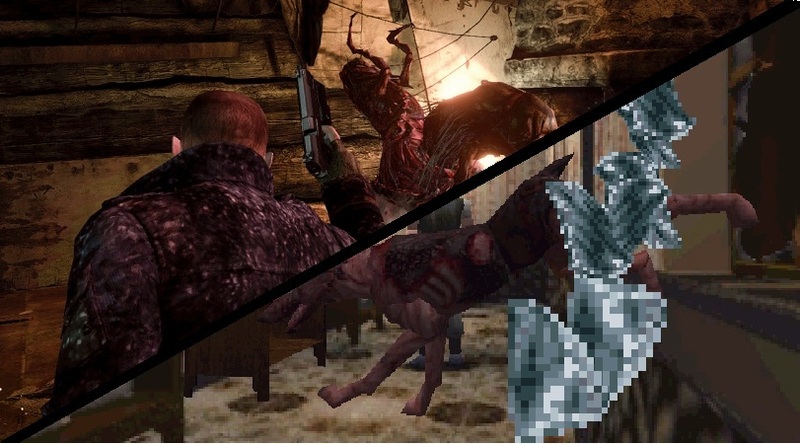 As I see it, there are two primary types of horror in video games. Let’s call them first and third-person (though please note, a first-person game can have “third-person” horror, and vice versa). In first-person horror, the player is cast directly into the shoes of the character, with little pretence or story. They’re meant to feel scared for themselves, rather than for the avatar they control. Third-person horror is the opposite, the kind I’ve described earlier. The player is scared because they are implicit in the death of the character. This generation of games has had two immediately recognizable first-person horror classics; Frictional Games’ Amnesia: The Dark Descent, and the recent indie darling Slender. Both have remarkably little to communicate by way of story (this is admittedly more true of Slender, though I doubt anyone would say they felt deeply connected to Amnesia‘s star), and both incite a sense of pure terror in the player. It’s telling that both succeed by giving the player no real way to defend themselves. Due to its slightly more infamous status, let’s focus on Slender. You have one and only one option: run. I’ve always thought of “scary” and “horrifying” as being subtly different. For example, the famous “dog hallway” from Resident Evil 2 could be considered scary, but horrifying? There’s something more lasting about true horror. When the dog bursts through the glass in that hallway, it’s frightening in the moment; a jump scare. But after that shock fades, it becomes just another encounter with an enemy in a game comprised of them. Slender understands something in that regard that most other horror games don’t. It has a similar jump scare when you first find the titular villain, but the feeling of shock from that scare never dissipates. This is in part because of how it’s presented. There’s something terrifying about knowing you could have missed him if you didn’t look in that exact place at that exact moment. After all, which is more horrifying: someone watching you while you know, or while you don’t? The jump scare also transcends its inception because you don’t have a great way to deal with the problem when its presented. In Resident Evil 2, the dog jumps into view, you run past it or shoot it. Like every other enemy in that game. End of story. In Slender, you don’t have the luxury of a weapon or the confidence that comes with navigating an obstacle. 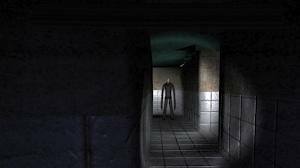 Even when you run from Slenderman, he’s always there, watching you, ready to make you feel like the world’s going to end if you so much as peek in his direction with that flashlight. In many ways, Slender represents the pinnacle of first-person horror. It cuts deep and stays deep, but all you know of the character your controlling is she’s somewhere she shouldn’t be. This leads me to my next question. We’ve seen first-person horror done well, but what about horror of the third-person variety? Has there ever been a horror game where you fear for the fate of the character, rather than yourself? My knee-jerk reaction is no, but if there’s something I’m forgetting, please alert me to it. In fact, there’s only one scene in modern video games I’d consider truly horrifying in the third-person sense, and it’s not even in a horror game. I’m speaking of the disturbingly methodical finger amputation in 2010’s Heavy Rain. This was a nicely written piece! I agree with you that more horror genre games need to challenge players.